When selecting these best books, I had to read several books on Google AdWords. When I was trying to make this list, I had a mindset of including the latest books updated or published in 2018 and before. 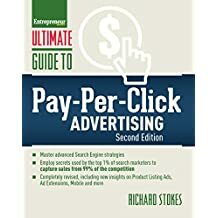 The following Google AdWords books are the best tutorials, eBooks and paperbacks which will help you boost your Pay per Click (PPC) advertising profits this year. AdWords, the well-known Google advertising program, can help you make lots of money. But if you run it before you don’t have the complete understanding, you may waste all your hard earned money. Using Google AdWords isn’t so easy as you might think. But, don’t worry. We have the top 10 AdWords books that teach you what to do and what not to do in your AdWords advertising campaigns. Keyword research through Google Keyword Planner. Writing short, compelling ad copy. The latest edition of world’s most popular book of Google AdWords is now available to read. In this edition, you’ll find new chapters of Enhanced Campaigns, Google AdWord’s Express, Product Listing Ads, Google’s Universal Analytics and more. Big Data advertising, expanded sections and necessary updates are included in the new edition. You’ll learn powerful bidding strategies, new ad extensions and automation capabilities. Google AdWords experts Perry Marshall and Bryan Todd, joined by Analytics specialist Mike Rhodes, explain their best experiences on the fundamentals, techniques, tools, and tricks. A must-read for all Google advertisers! 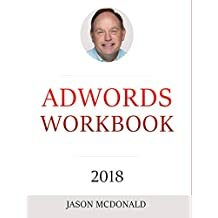 Jason McDonald is really a great author for his AdWords and SEO workbooks. His writing is simple and straight-forward and found very useful to thousands of end users worldwide. The current edition of AdWords Workbook is the latest edition with new tips and tricks for AdWords advertisers who want to make big with less cost. 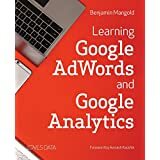 In this book, you’ll learn to identify and fix AdWords Gotchas, use transactional keywords and keep out those ones that lose money, optimize Google Search Network, apply Google Display Network tricks, measure AdWords campaigns and improve them and more. Highly recommended!! Benjamin Mangold is a famous educator, digital course designer, consultant and conference speaker. In this new book, he shares his experiences of real life campaigns and customers. Learn new skills of Google AdWords and Analytics from this expert. 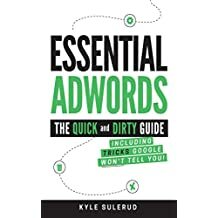 Author Kyle Sulerud claims this book as the most effective Google AdWords book that has revealed all his tricks and secrets in it. 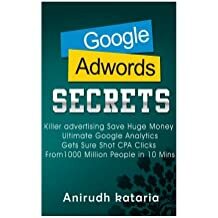 His book will be useful to both beginners and existing AdWords users to achieve success quickly and easily and save lots of money from losing they didn’t realize. 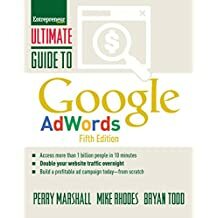 In this book, the author focused on configuring Network Settings to spend money to the most important aspects, using better keywords than those provided by AdWords, using Negative Keywords not to waste money unnecessarily, writing perfect ads for the targeted audience and more other tricks. One of the new books you should read! 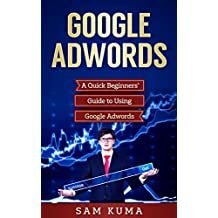 If you are a newbie in Google AdWords advertising and want to learn it and make money by advertising on Google, this is the right book for you. 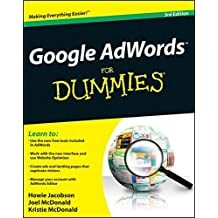 It teaches about Google AdWords, uses of Google advertising, keyword research tips, conversion optimization techniques, setting up campaigns, using negative keywords and optimizing ads. One of the latest books recommended for beginners! This new book tells you proven steps and strategies to get your business popular and advertise locally or globally through Google AdWords. The author introduces you AdWords basics, billing and budget, writing effective ads, bidding strategies, choosing right keywords, creating ads and ad groups, and monitoring your campaigns etc. The right book for new Google AdWords advertisers! This is another highly recommended ebook from Ultimate Series. According to the author, 99% of the advertisers fail to get results. Richard Stokes is the founder of leading digital intelligence firm AdGooroo who reveals what’s wrong and how to fix it in this latest book. Follow the advices. You’ll discover new ways to drive more traffic, to increase CTR, to steal impressions from competitors and to boost conversions. In this latest AdWords book, you’ll find all new AdWords features and tricks to apply discussed. Dummies Books are great. Again, this book is great for explaining AdWords for small business. The authors explains new tactics like remarketing, ad extensions, feeds for e-commerce, mobile advertising, advanced ad writing, and Google display network. 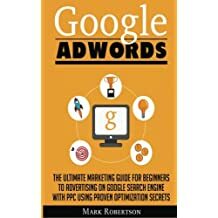 This book is a must for you if you want explore Google AdWords. This book has useful tips for maximizing your AdWords campaigns. In this new book, the author tries to reveal those hidden secrets used by top AdWords users. This book teaches all the important features of AdWords and using them all to make your advertising profitable. To make your ads more profitable, you should learn how to make your ads appear on top of others in Google search results and how to make your campaigns more cost effective. The book will teach you the secrets to get higher ad positions for less cost (CPC). In short, you will learn how to get more relevant customers for less spend in Google PPC marketing. Really, this is an advanced Google AdWords book. The author’s teaching about AdWords is really excellent for both basics and advanced. The updated edition covers topics on new material, endless smaller updates, and completely revised to cover all the changes including changes to the campaign structure, bid modifiers, new quality score analysis techniques, and the latest ad extension updates and much more. It is easy to read and comprehensive. 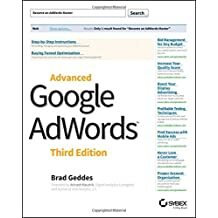 Search for other bestselling Google AdWords books. If you have already read one of the above books, I love to hear your comment about it below. If you have any other book on Google AdWords better than the above, please tell us. Your valuable comments are always welcome. Is there a recent book for 2015? Please define “Advertising Profit Margin” more fully as you are using it here. The definition implied is that it is the % of Gross Profit (Sales less Cost of Goods) after advertising expense. Is this correct? In your example of a “30% Advertising Profit Margin” then 70 cents of every dollar of Gross Profit is spent on advertising. Is this what you are stating? very much helpful for beginners. .
Nice book list. It was very helpful for me. hey, thanks for updating the books list… keep posting ! !